ASUSTOR Community Forum • View topic - 【Newsletter#75】ASUSTOR’s MyArchive makes your data easy to take on the go. 【Newsletter#75】ASUSTOR’s MyArchive makes your data easy to take on the go. 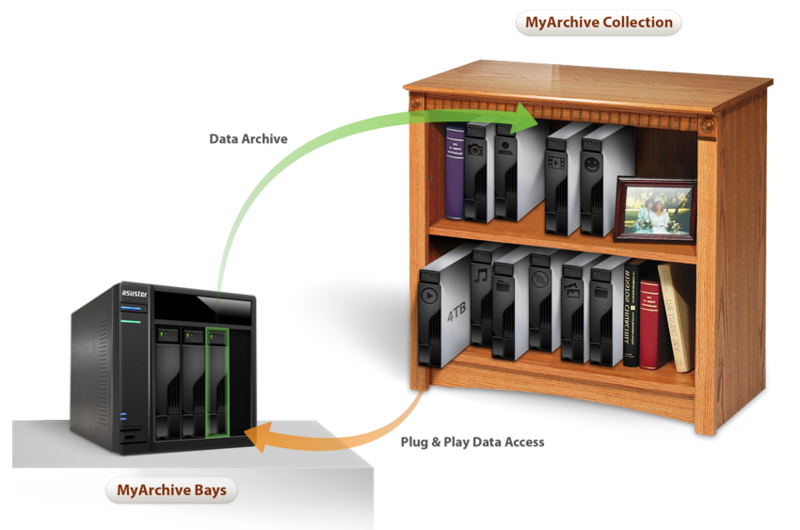 ASUSTOR’s MyArchive makes your data easy to take on the go. We admit, when a NAS fails. It may be difficult to read data that was stored. Whether you are an engineer or a photographer, any NAS user may encounter this issue. Not having a spare NAS of the same brand makes data recovery difficult for novices. If data is needed urgently, it can be headache inducing. ASUSTOR's MyArchive feature allows those headaches to fly away. MyArchive works by allowing hard drive within a NAS to be hot swapped at any time and is able to be used by different devices to read the data on the hard drive just as easy as an external drive while also being used as a NAS hard drive.